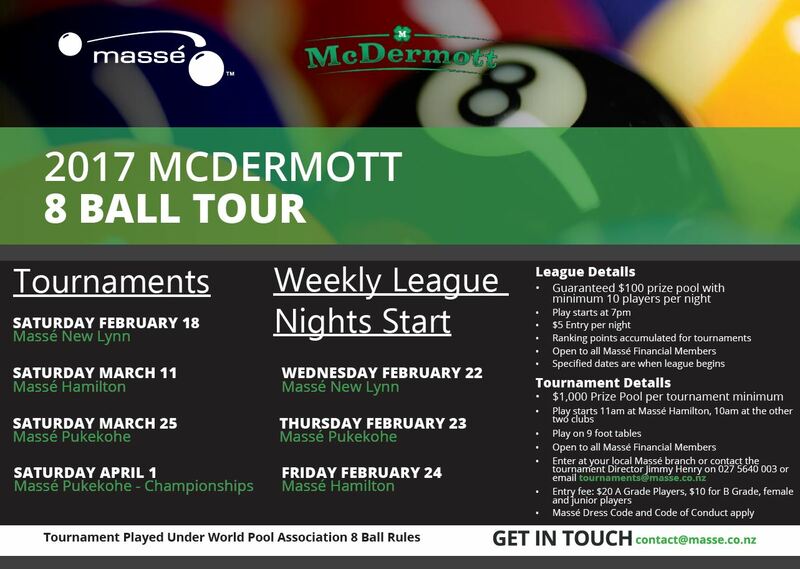 The McDermott 8 Ball Tour League is in full swing starting Wednesday February 22. This year we have decided to do things a little differently with our leagues and incorporate our league nights with our tournaments. Each night you attend and compete in the McDermott 8 Ball Tour League, you gain ranking points that go towards your eligibility to compete in the Championships which are played at the end of the tour. Each night there is a guaranteed $100 prize pool if 10 or more players register otherwise the prize pool will be entrance fees collected on the night. We look forward to seeing you down at the club!